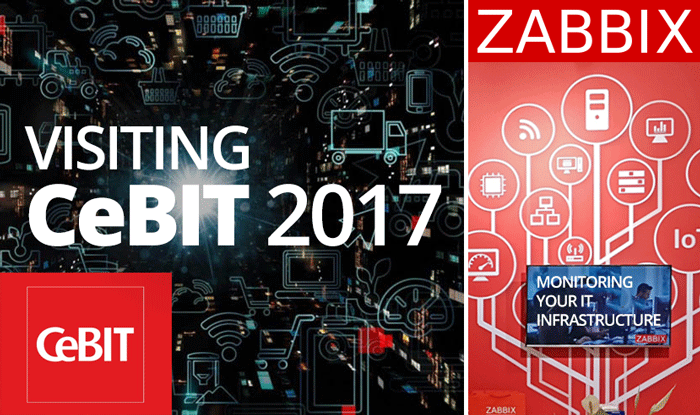 This year, CeBIT has welcomed more than 200,000 specialists and 3,000 exhibitors in Hannover, with Zabbix shining among them. For us, CeBIT has always been a special event, with its great diversity of topics and plenty of new contacts. Let’s have a quick overview of the moments we shared together with partners at one of the biggest high-tech expos in the world! This was the 5th time we all gathered together in Riga, and we must say it was the most impressive year by far. The spirit of the Zabbix Conference 2015 still lingers in the air, as we step into a new week at the office. On the first official day of the conference the participants gathered excited at the registration from 9am sharp, already discussing the experiences and topics revolving around Zabbix. 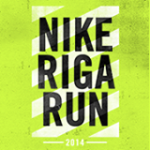 One day after the Zabbix Conference 2014, on September 13th, Zabbix team and some delegates from the conference participated in the biggest charity sports event in the Baltics – Nike Riga Run, aimed to raise funds for the charity organization Ziedot.lv children’s treatment and rehabilitation project. Zabbix Summer Sport Games 2014 – Ready, Steady, Go! Author TatjanaPosted on July 29, 2014 July 29, 2014 Categories SocialTags Zabbix, zabbix teamLeave a comment on Zabbix Summer Sport Games 2014 – Ready, Steady, Go! Yesterday, on January 23rd, Zabbix SIA received a special award from the Latvian Open Technology Association (LATA) in the nomination for “The most remarkable open technology solution for business” in the private sector. Zabbix Team Celebrates Release of Zabbix 2.2! Let the Zabbix 2.2 party begin! On Tuesday, November 12th, after Zabbix officially announced the release of the long-awaited and desired Zabbix 2.2, Zabbix team had a nice celebration of this important event in the company’s office in Riga. Author TatjanaPosted on November 19, 2013 Categories SocialTags Zabbix 2.2Leave a comment on Zabbix Team Celebrates Release of Zabbix 2.2! Some might recall that back in 2011 we dug into old logfiles and produced a 5 year graph of Zabbix user count in the #zabbix IRC channel. At the same time, monitoring at a higher rate – hourly – was set up, and data collection started. Now that it’s been 2 years since that graph, let’s take a look at the new graph, how the user count has changed in two years and how Zabbix copes with a 7 year graph. Zabbix SIA – Best Exporter in small partnership group 2012! 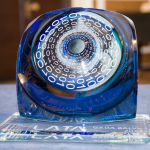 Author TatjanaPosted on December 20, 2012 October 14, 2013 Categories Social1 Comment on Zabbix SIA – Best Exporter in small partnership group 2012! 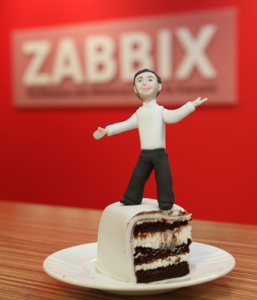 Congratulate the Winners of Zabbix Explorer 2012 Contest! Author TatjanaPosted on December 12, 2012 December 12, 2012 Categories SocialLeave a comment on Congratulate the Winners of Zabbix Explorer 2012 Contest! 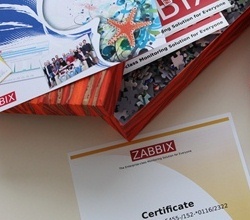 Meet the Winners of Zabbix Nerd Spring 2012 Quiz! Author TatjanaPosted on June 15, 2012 June 18, 2012 Categories Social1 Comment on Meet the Winners of Zabbix Nerd Spring 2012 Quiz!